For more about this iconic camera and a visual journey around it continue after the jump…. 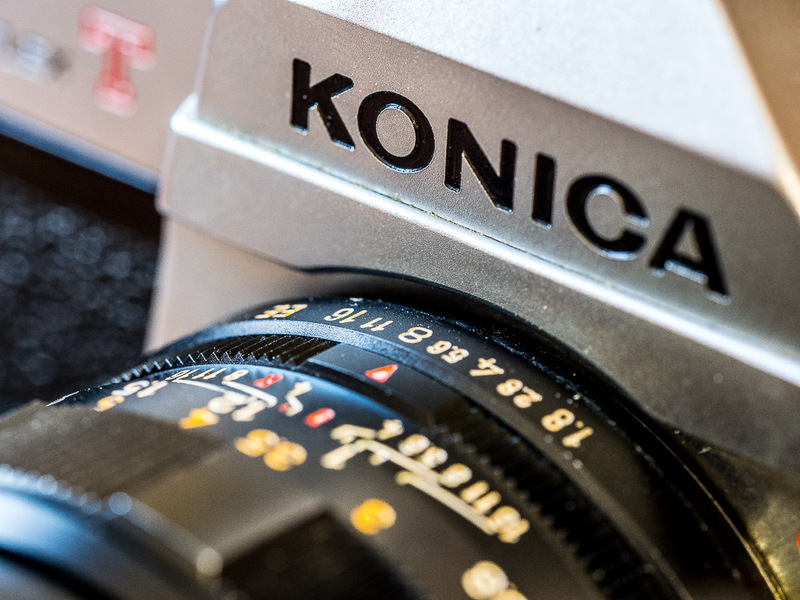 Konica (コニカ Konika) was a Japanese manufacturer of film, film cameras, camera accessories, photographic and photo-processing equipment, photocopiers, fax machines and laser printers. 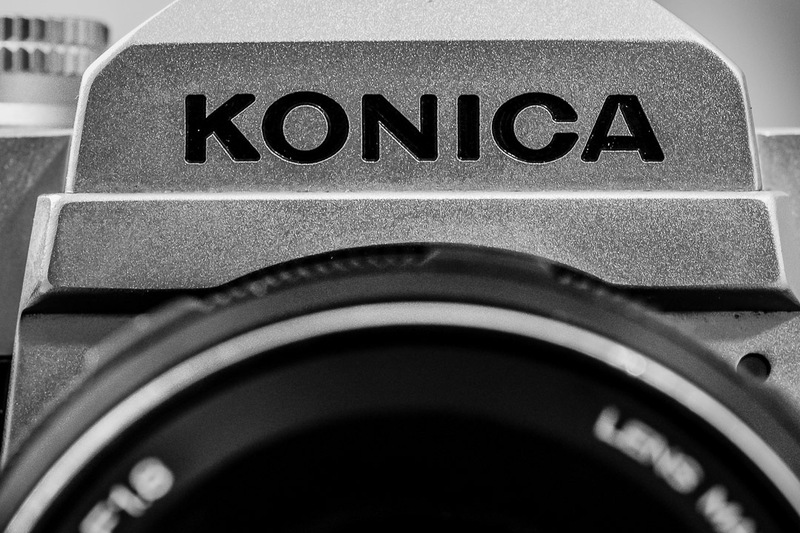 The company merged with its Japanese competitor Minolta back in 2003, with the new company named Konica Minolta. 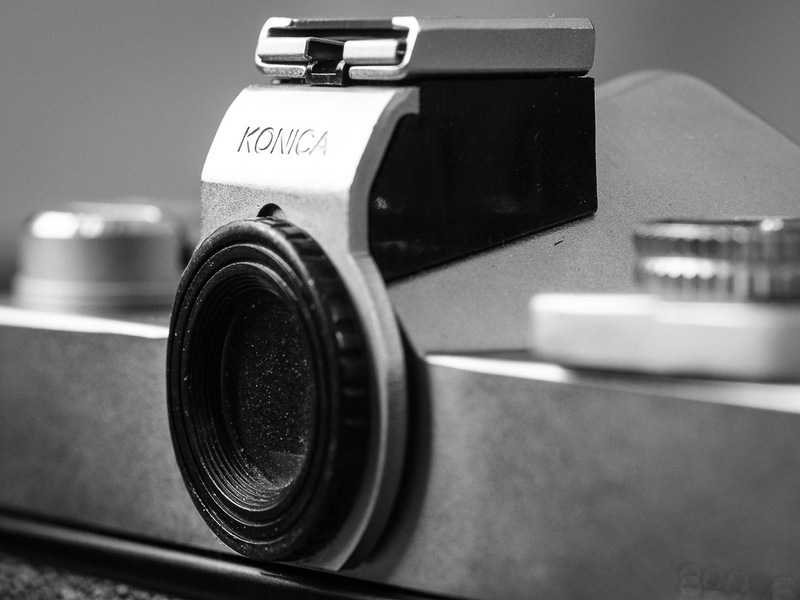 The Autoreflex T is the camera that established Konica firmly on the map of SLR manufacturers in the late 1960’s. Solid, dependable, refined, with full manual or EE auto exposure. 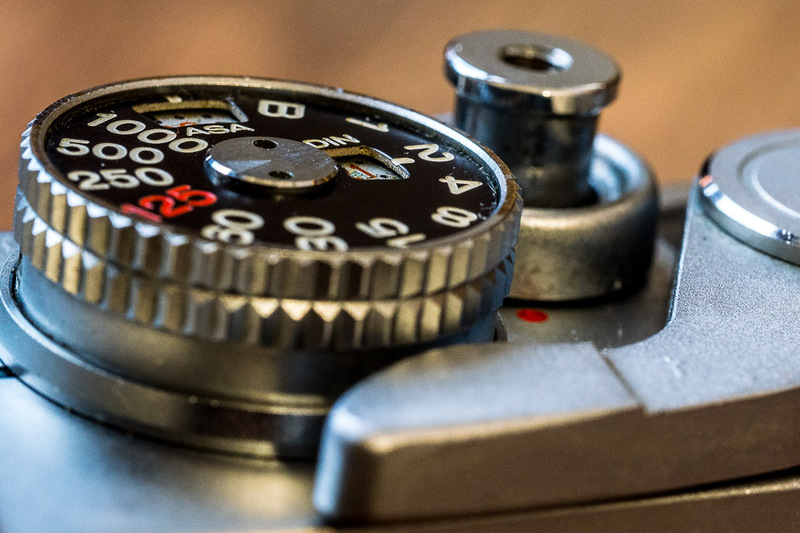 In addition to the automatic exposure with shutter speed priority, there is a button for depth of field assessment, a fairly bright viewfinder image and a mirror lock-up feature (can be activated by using the self timer switch on the front). 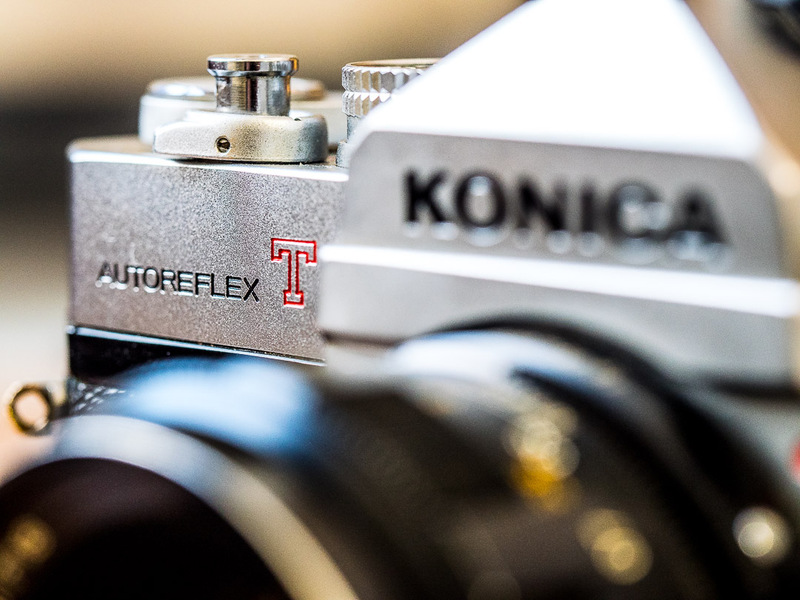 Like all the “big” cameras from Konica’a Autoreflex series, the T model is quite large in its dimensions and, especially compared to modern camera designs, quite heavy. The Copal Square-S metal focal-plane shutter is also quite loud, I wouldn’t use it in a church to shoot a wedding. The T is built like a tank, weighing almost one kilogram with the 1.8 Hexanon lens, extremely robust, tolerates rough treatment without complaint and works reliably even in very cold conditions. 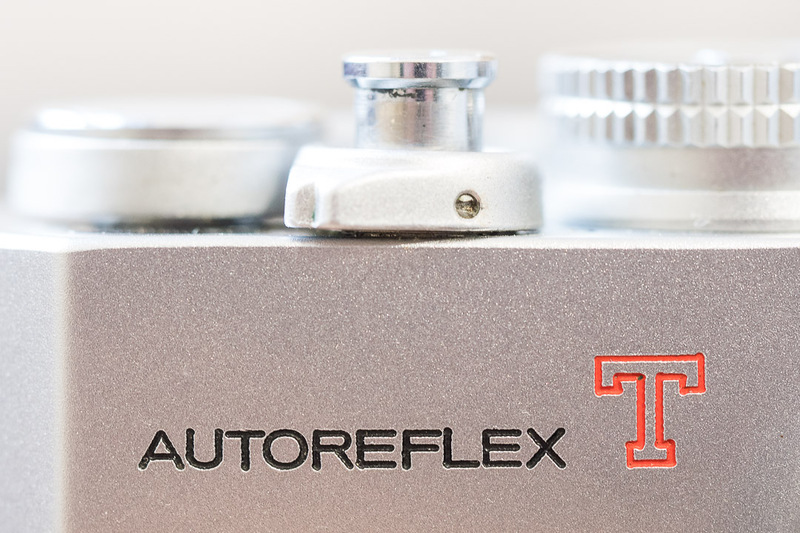 In 1970 the Autoreflex T (marketed in Japan as FTA, in Germany as Revue Autoreflex TTL) was replaced by the improved Autoreflex T2 (the model shown here). As the upgrades were only minor, however, the change is not reflected in the designation on the camera, the Autoreflex T2 (NEW FTA in Japan) also bears only the inscription Autoreflex T – therefore the two models are often confused. 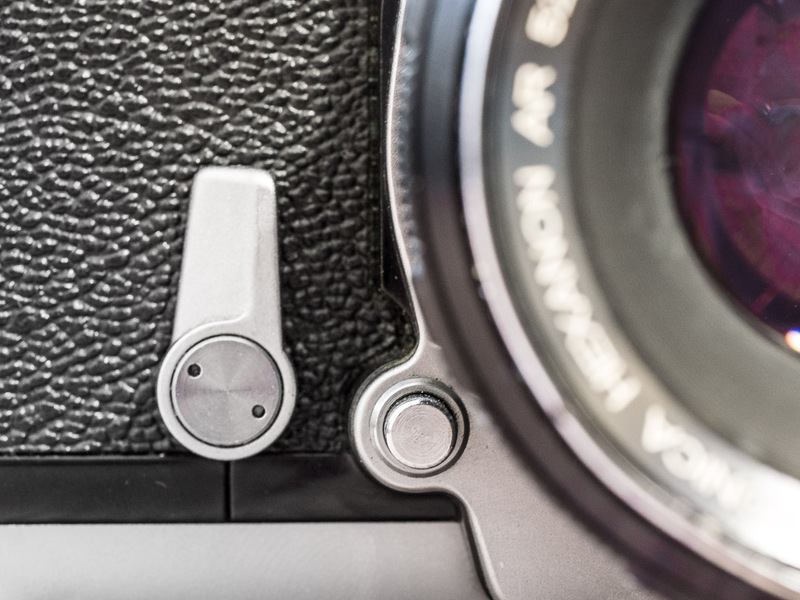 The T2 can be easily identified by its on-off switch on the top enclosing the shutter button (on the original T the switch was on the back side) and the distinctive double-row corrugated shutter speed dial. The Autoreflex T2 / New FTA is available in chrome-black and black only, the chrome-black version is much more common. The Autoreflex T came with one of Konica’s legendary Hexanon prime lenses. The optical quality of most Hexanon lenses is regarded as truly superb, particularly the older fixed-focal length (prime) lenses, like this 52mm f/1.8. 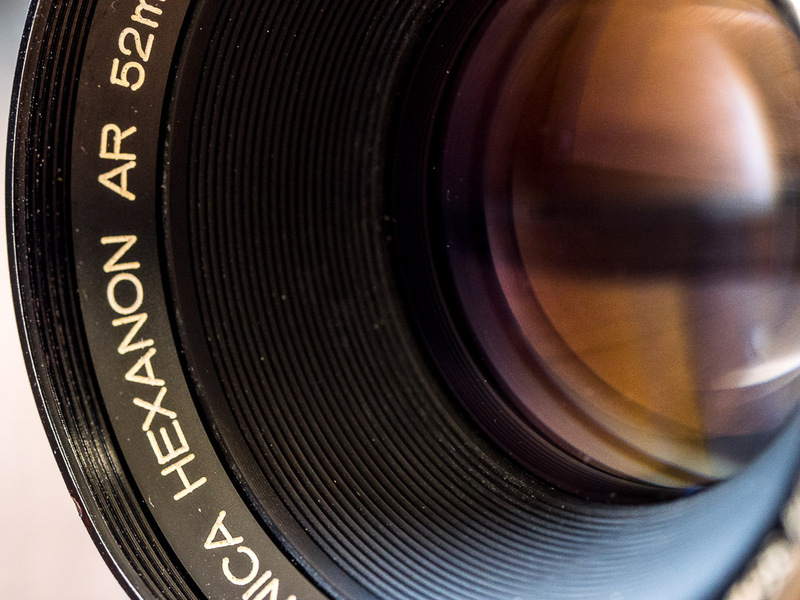 Hexanon lenses were used by the Japanese government as the standard against which all other lenses were measured. 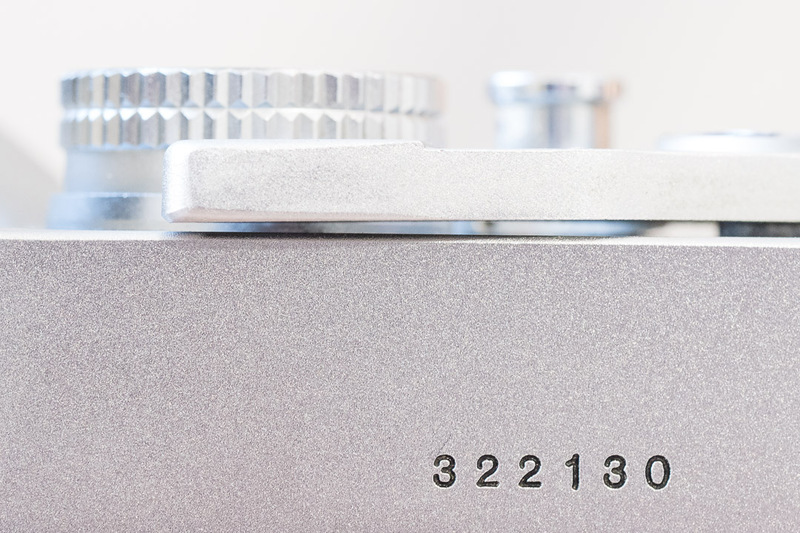 I own the camera with the serial number 322130. I saw it advertised on a local add portal, someone living just a few streets away was selling stuff from an inheritance. Unfortunately, the seller could not provide any history to the camera, regarding where it was bought and who had owned it. He wanted 49 EUR for it, I offered 30 (about 36 USD) and he accepted. 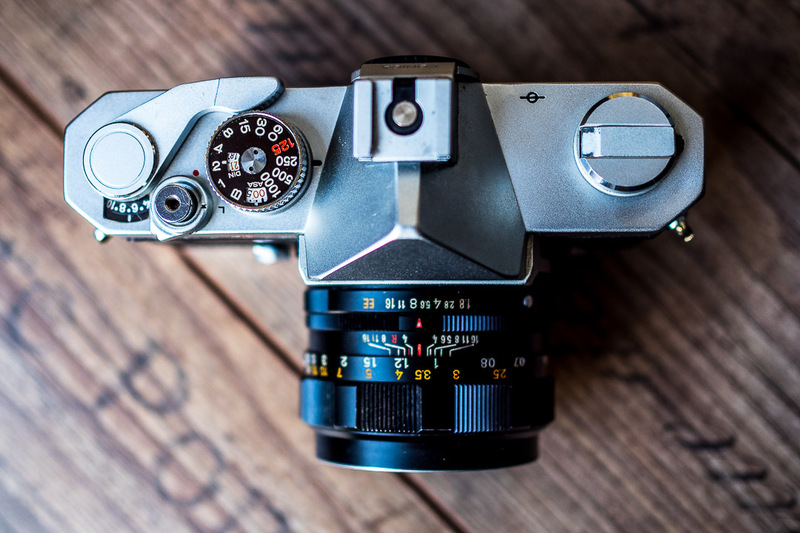 For an iconic SLR camera with a prime lens, in a great shape (as you can see from these photos) and supposedly in working condition, this is not a bad deal. And definitely will get myself a film and take it for a spin onto the Streets of Nuremberg. I also found and downloaded a vintage owners manual from the web. 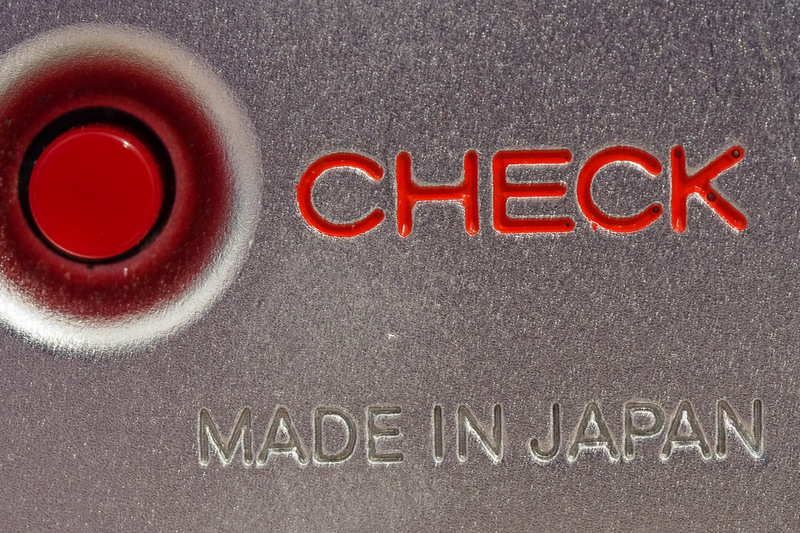 And in any case this huge, almost 50 years old Japanese SLR is a nice deco object. There is a little caveat operating the T2 today. Like many cameras from this era, the Autoreflex T2 uses mercury oxide batteries for the light meter (2x type PX675). These batteries are no longer allowed to be produced for environmental reasons and are becoming increasingly scarce. The use of silver oxide batteries or even alkaline batteries of the same size (SR 44 or LR 44 – mostly used in hearing aids) leads to incorrect measurements because these battery types have different voltages. Getting the light meter recalibrated does not make sense economically. 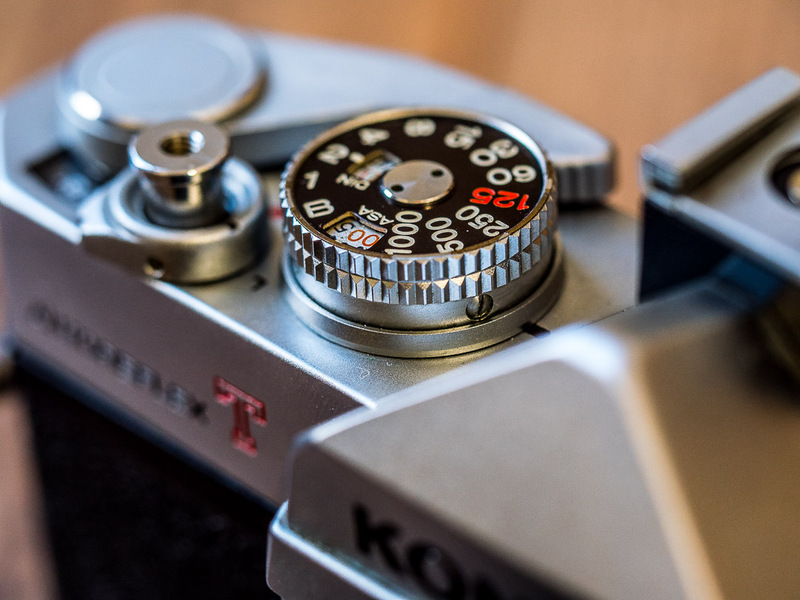 You can compensate by adjusting the ISO by a step or two (depending on the film you use) or simply use an external light meter to determine the correct exposure. All photos were taken by me with the Olympus PEN-F and the mZuiko 25mm F/1.8, the macro shots with the mZuiko 60mm 1:2.8 Macro. I hope you enjoyed this little trip into camera history! 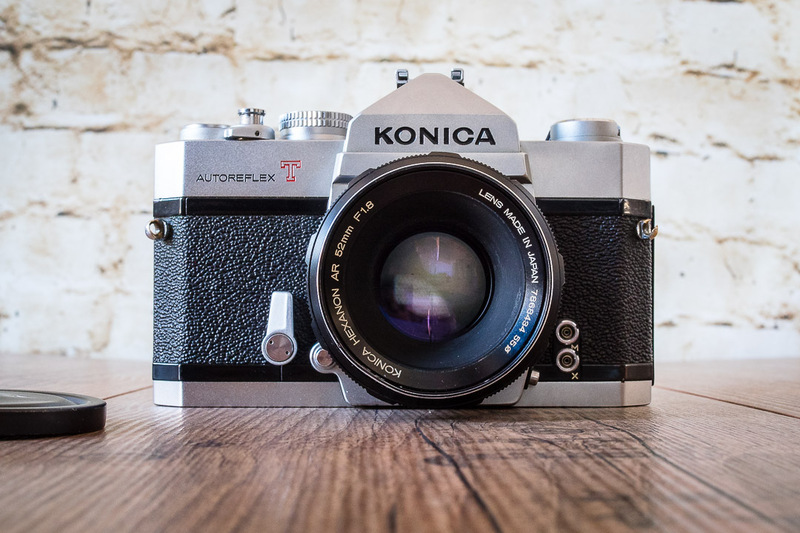 I’m looking forward to seeing your film photos, and interested in seeing what this Konica can do in the hands of a great photographer. To pay for our film photography hobby, we buy and sell some film cameras, but have never owned or tested any of the Autoreflex series. For composed photos, I really prefer film. (I’ve never developed good digital skills). Like this Konica, my Nikon F2 – a lucky $25 score by my husband a few years ago – is a big heavy boy to lug around, but is still my favorite. It’s really tough and paired with 28mm lens, very forgiving of many of my amateur mistakes! Thanks, Andy, appreciate your kind words! These are incredible machines, the built is just different from what you get today. No wonder those camera function perfectly after 40 or 50 years of service. 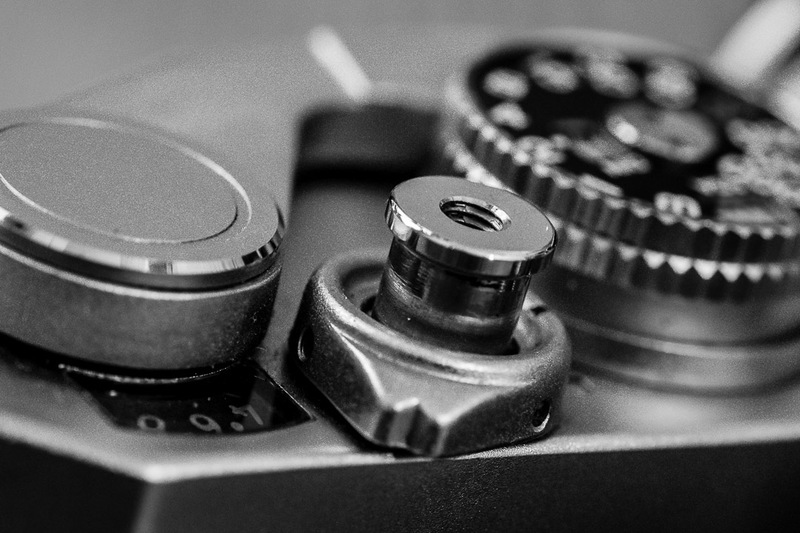 I’m sure those modern day DSLRs are dead meet after ten years max…. Now that’s a fascinating read. Thankyou. Thank you, Marcus! We experienced some cold, but thankfully it’s passed now 😊 Enjoy the rest of your weekend! Such a beautiful piece of history. About mercury battery problem, did you look at the internet for some kind of voltage transformer for small batteries? I know that some of them can “do the trick” with smaller batteries. Thanks, Daan. I checked about the batteries. These transformer / adapters are available for the smaller PX625 (that are for example in my OM-1), but seemingly not for the larger PX 675 that are in the Konica.